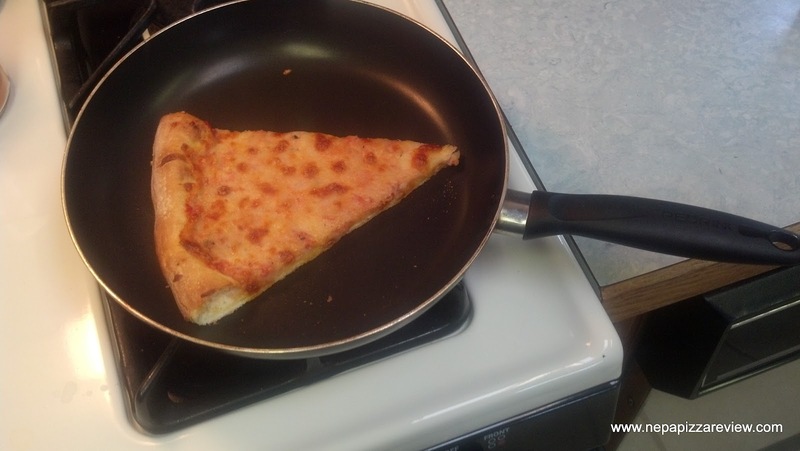 The best way to reheat cold pizza that you probably didn't know! How often is it that we order pizza and actually order the correct amount of slices where everyone is full and there are no leftovers? ALMOST NEVER! The fact is that most times we order too much pizza and have to take some home, which would normally be a good thing, except that pizza the next day is typically not a pretty sight. So how can we enjoy pizza just as much as when the waitress brought it to our table in the restaurant? With a little preparation, and this sure-fire method of reheating, you can make that pizza taste just like you were still sitting at the local pizzeria! Step 1 - Get the pizza out of the box. Before you stuff that cardboard contraption in the fridge, take notice that there are tons of holes and crevices in the box which let in air and dry out the pizza. It surely won't reheat nicely if it's dry. Wrap the pizza in plastic wrap, put it in a freezer bag or other container, or just toss a sheet of plastic wrap over the pie inside the box if you're really feeling lazy like me. 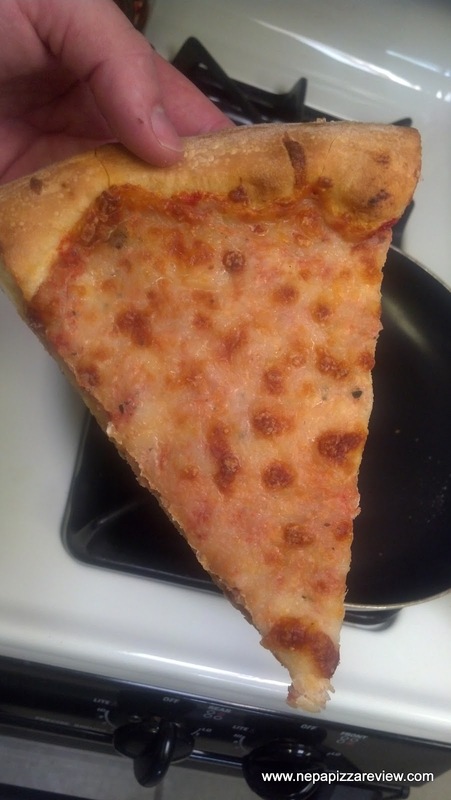 Many people reheat their pizzas by sticking it in the microwave and cooking it until it's a chewy, rubbery disaster. This is no way to enjoy pizza, but using the microwave correctly can help bring the slice back to life. I recommend putting a single slice in the microwave for only 10 to 20 seconds. Just enough to soften up the cheese and dough a little bit. This is the real secret to the whole process. Rather than waiting for the oven to heat up, grab a plain old frying pan from the cupboard and put it on low-medium heat. Toss the slice in the pan and let it cook until the cheese is bubbling and the crust is crispy - just like it was served in the pizzeria! Coincidentally, I think a cast iron skillet would work even better because it more evenly distributes and holds the heat, but the frying pan I used in the photo worked just fine. Step 4 - Enjoy your crispy slice! 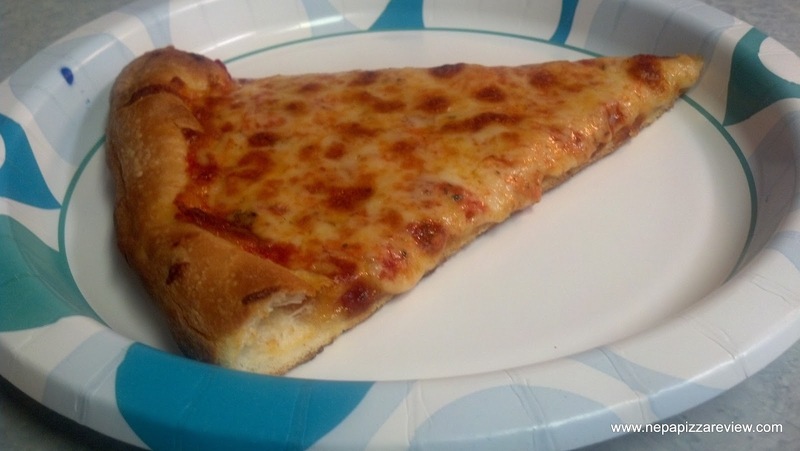 Reheating the cold pizza in this manner will bring that slice back to life and no longer will you have to eat it cold, rubbery, burnt, or flavorless. Plus the whole process is very fast, and you'll be dining in no time! 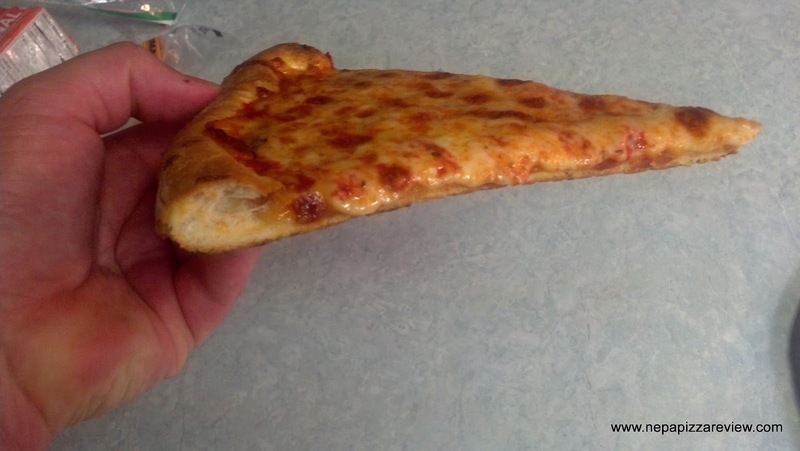 So how do you usually eat your leftover pizza? Please let me know your thoughts in the comment section below. I'd be happy to hear your suggestions! Please nominate your favorite Northeastern Pennsylvania Pizzeria for Pizza of the Year 2013! I usually put mine in the oven (or the toaster oven) for a few minutes. I didn't think of zapping it for a few seconds first but that is a great idea. As an aside, I've been lactose intolerant for at least five years now and wasn't able to eat any pizza. Someone finally told me about a product called Schiff Digestive Advantage that has helped me be able to eat pizza again. I'm not connected to the company but am just very happy that I can enjoy one of my top five foods again and I recommend anyone with lactose intolerance to try it! I've used the oven quite a bit as well, I found that using a baking stone gives nice results if you go the oven route. Well that sounds like a useful product for pizza lovers who have a similar intolorance. Thanks for you feedback, which is always encouraged. the bbq grill works great for reheating pizza, discovered it by accident and wouldn't go out of my way but its a good option if you have a grill handy. 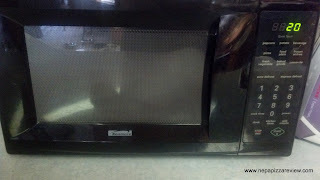 I've also heard that sticking a glass of water in the microwave with your food helps it from going soggy. Can anyone verify? Hmm...I can't verify it, but I will certainly be trying it ASAP! I will let you know!